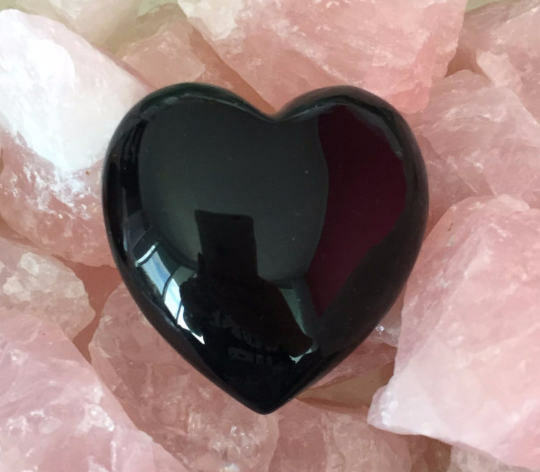 This Black Obsidian Heart has is polished black. Obsidian is referred to as the "stone of truth." Obsidian is also known to absorb and destroy negative energy such as anger, criticism, and fear, and may be used for protection. You can literally place this stone over any chakra that needs healing especially the heart chakra. 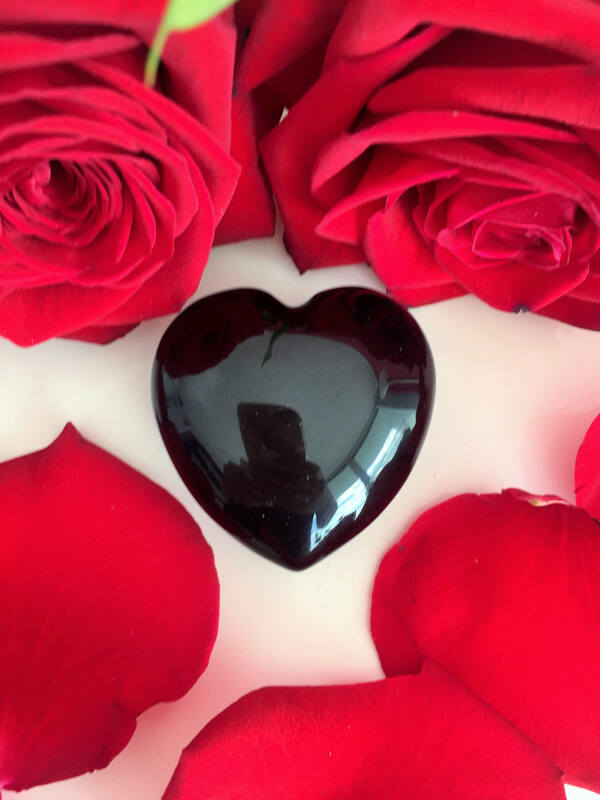 Listing includes 1 Gemstone Heart, the same one in all the pictures. 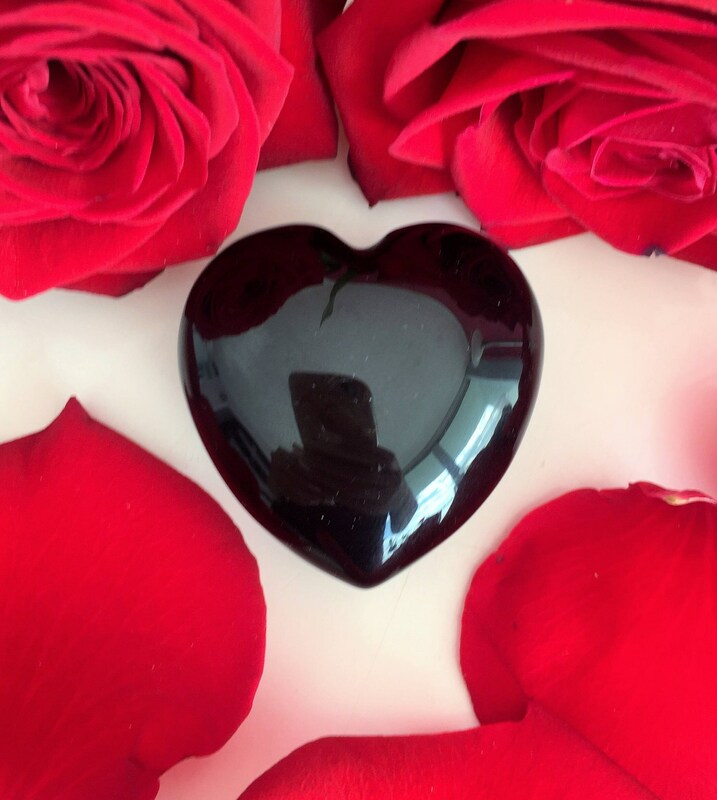 Wear Black Obsidian or carry it in your pocket or purse to shield yourself from psychic attacks and energy vampires. 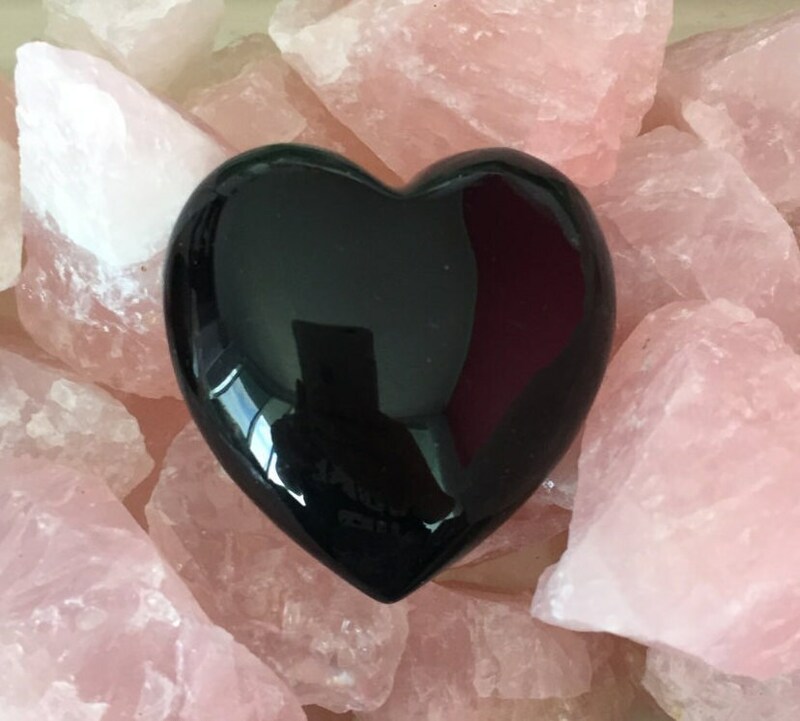 Black Obsidian is a great crystal for protection, making it a powerful way for how to protect yourself from negative energy. It also helps to put an energetic boundary between yourself and others, so that you don’t pick up other people’s energy, than making it your own.